New Sermon Series CD Box-Sets are ready in our new look packaging. 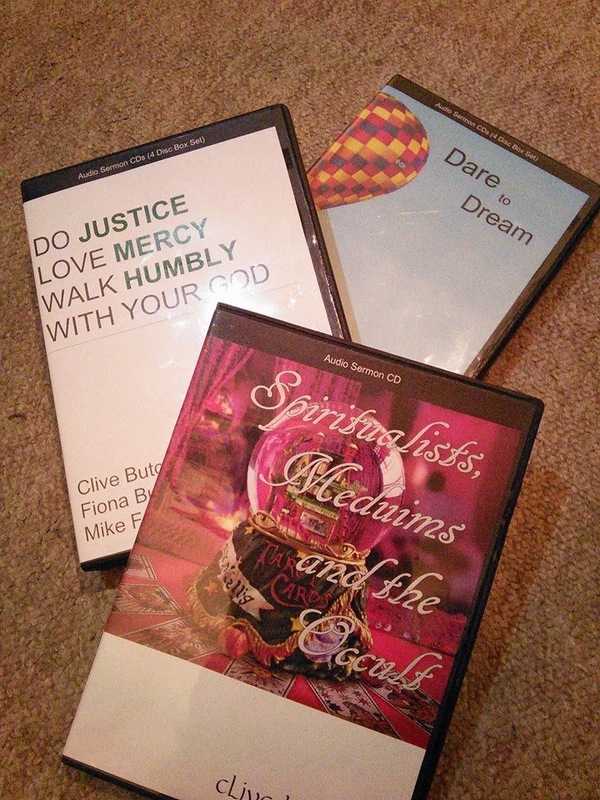 Starting with a 2-sermon mini series preached by Clive Butcher about 'Spiritualists, Mediums and the Occult' this series looks at the realities of the spirit realm as well as what the Bible says about things such as mediums, horoscpoes, tarot cards etc. Sermons well worth listening to! Cost £1. 'Do Justice, Love Mercy, Walk Humbly With Your God' is a 4 disc 7-sermon series that uses the minor prophets in the Old Testament to explore issues around justice and mercy - a topice God has been laying heavily on our hearts recently. A valuable resource to refer to again and again. Cost £3.50. All titles are available at the shop at church.